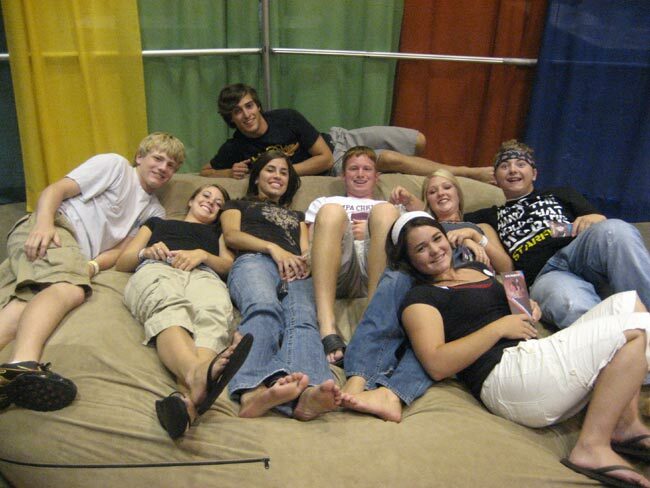 "Comfy Sacks is the ultimate lounge spot when watching all sporting events and movies with the family. My kids absolutely love it and it entertains them for hours. 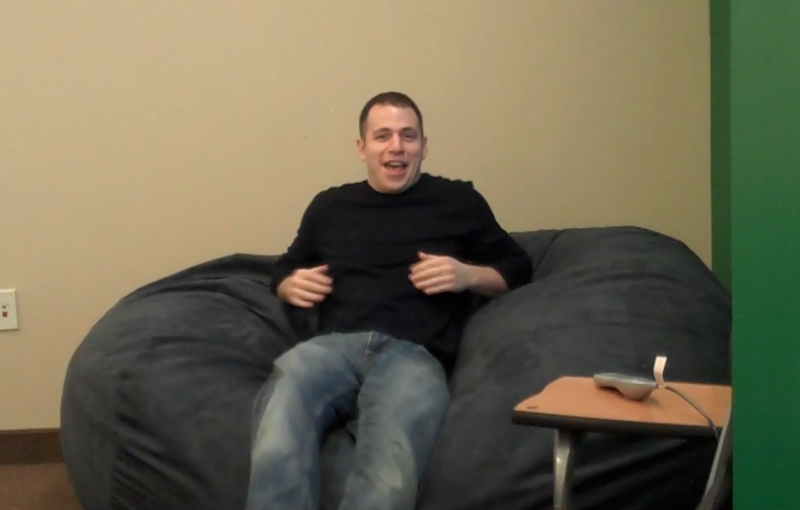 The best part about Comfy Sacks is that I can fit on them comfortably while being a 250-pound fullback." We have quick morning meetings in the Comfy Sacks and it is a great way to do a meeting. No conference table, just some Comfy Sacks, a sofa and a few other chairs, totally relaxes the whole group! It is a great place to instantly chill out, too. Visitors come into this room to start the tour and watch a video of the history of the Zappos Family. I love it when the buttoned-up businessman jumps into the chair and gets comfortable! The area is also used for 'Question and Answer' sessions for our Tour PLUS option, and it provides a great relaxed environment, thanks to the Comfy Sacks. A huge thanks to Comfy Sacks for donating sacks to the MWR (Morale Welfare Recreation) center at Camp Nathan Smith. These sacks are the most comfortable seats on the base! 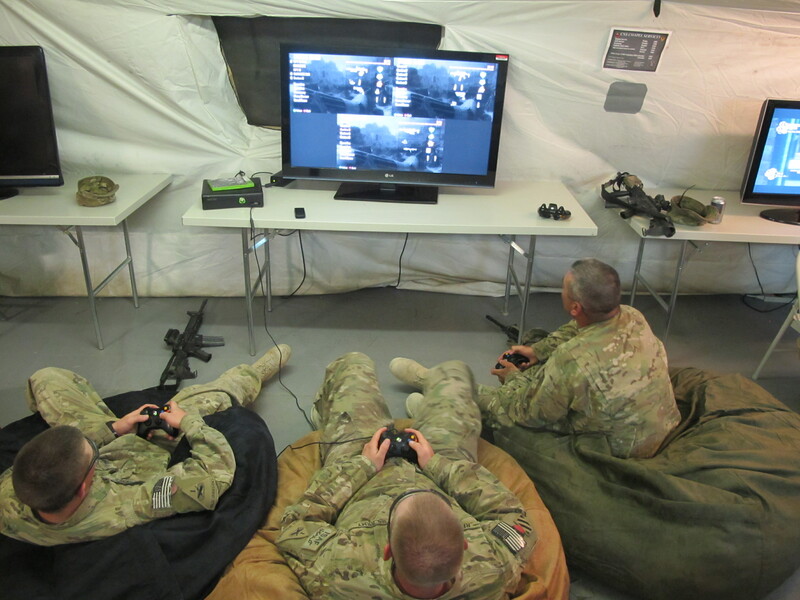 Used in the Gaming Tent, soldiers love to use the sacks while playing video games or just chilling out. Thanks again for the amazing support of US soldiers on Camp Nathan Smith, Afghanistan. I purchased my 8 ft Comfy Sack about 4 years ago to watch movies and lounge on with my dogs and boy was it a hit right away. It's almost turned into a dog bed of sorts lol I have six dogs total and three are seniors two of which have arthritis and tend to get uncomfortable when trying to lay down etc. When I fluff the comfy sak up and put the stairs by it they have no troubles sleeping on it and its always their first choice of a place to lay down and sometimes even play! I also have to say that the cover is SUPER TOUGH!! I haven't had any issues with it wearing out or anything due to the dogs nails etc. I also love that the cover fits inside my washer and dryer for EASY cleaning. I couldn't say enough about how much I love this thing and how much I lay on it watching movies with the pups. We love our Comfy Sack! Great for a nap, reading, gaming or just sitting around chatting. 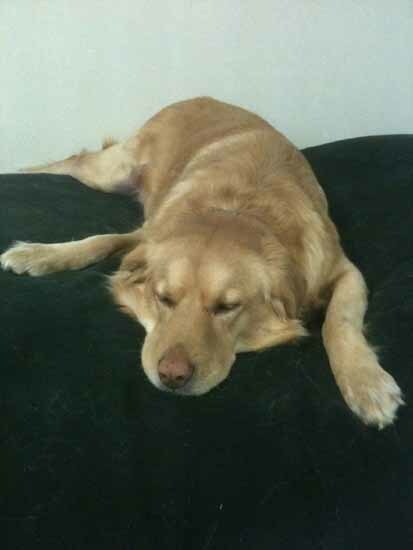 Our two pups love to nap in it too as seen here :) Great product! While our dog Julip can't express her gratitude for her HUGE Comfy Pillow, I think the picture says it all. We have bought many dog beds over the years and she seems to love this one the best. We bring her into the office everyday and she spends a lot of the day on her Comfy Pillow. We also bought one for the basement. Thanks again Comfy Sacks! We also filmed her on the bed so hopefully you guys are able to use that in some way! We searched high and low for the perfect solution to compliment our unique office space, and I'm very happy to report that our Comfy Sacks have exceeded our expectations. The construction quality, attention to detail and outstanding customer service have made us true believers. Adding them to our office has single-handedly revolutionized our ability to create small, comfortable and most importantly, mobile conversation areas. We've even had employees purchase them for home use. We're all huge fans! "Those things are huge!!! I could do all kinds of sketchy skateboard tricks into them. 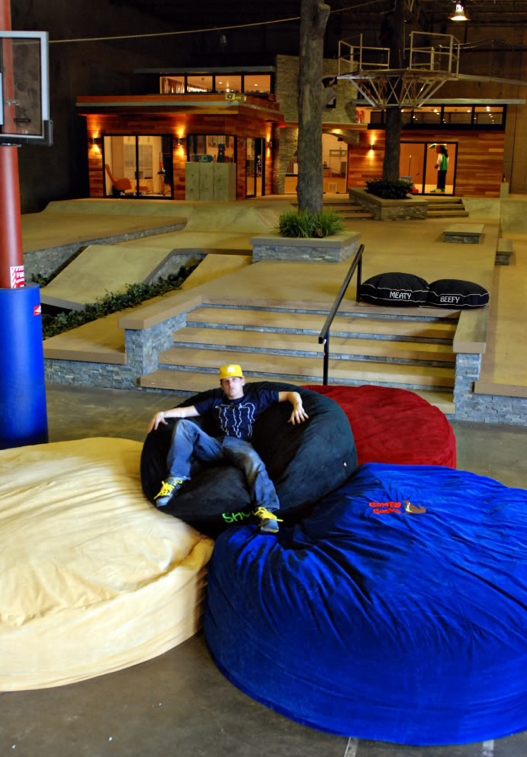 Meaty [his bulldog] is going to love this"
— Rob Dyrdek talking with the staff of Comfy Sacks at the Fantasy Factory. 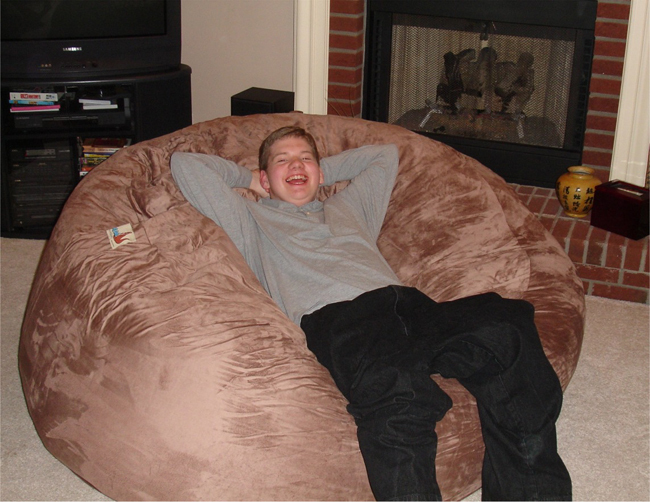 "Comfy Sacks allows me to relax and recover from practice and games in style. Its size is amazing because it allows my entire 6'4" frame to lay down plus extra room. 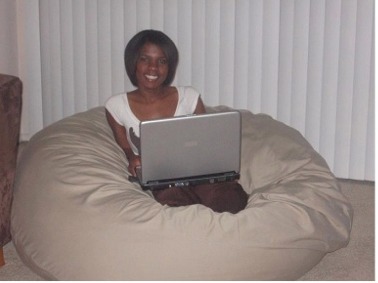 It is definitely not your regular beanbag from the store." Just wanted to write to thank you for the quality & great service at Comfy Sacks! We used our green sack to photograph our son every month to show his growth progression, & the photos were so fun! Hey you guys at Comfy Sack! I would like to say THANK you for my wonderful Sack. Being born with 2 legs you can imagine my life hasn't always been so Comfy. 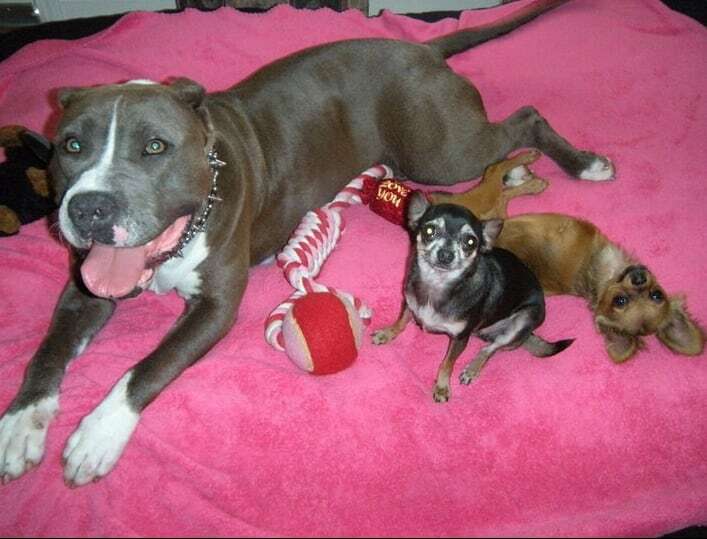 You have not only made it possible for me to have the most incredible... soft.. cozy bed in the world.. but its sooooo big that even all my rescue sisters and brothers can lay with me ((when I let them that is)) I cant imagine my life without my Comfy Sack now. 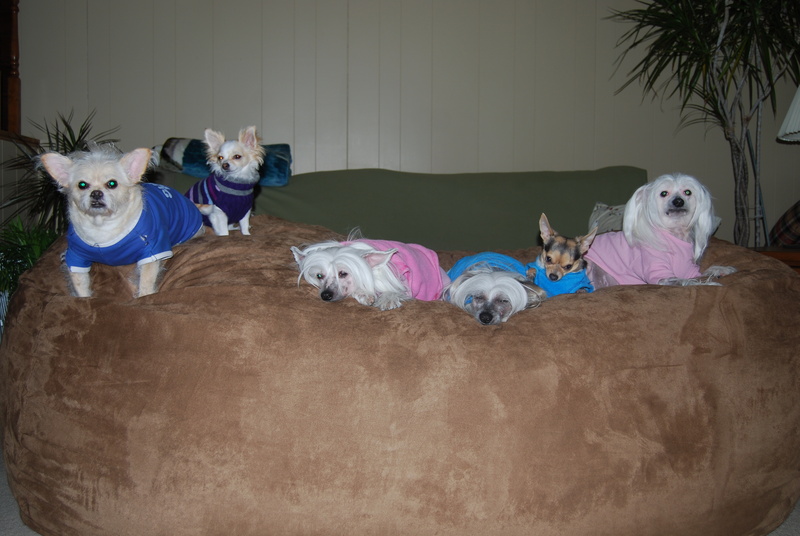 The other dogs can hop on the couch's and beds but with me looking like a baby Kangaroo I could never do that. My sack is perfect for me. I can hop onto it ((when turned flat like a square so not too tall)) and no matter where I lay on it.. Im the most comfortable 2 legged Chihuahua ever! 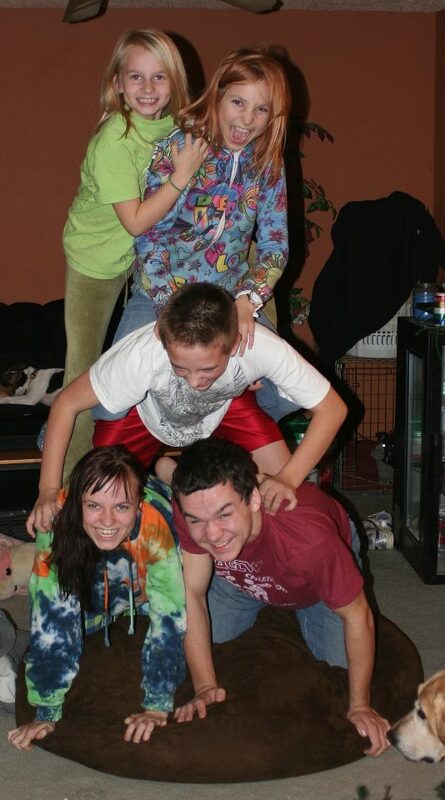 Thanks for making my life a little ((well ALOT)) more Comfy! 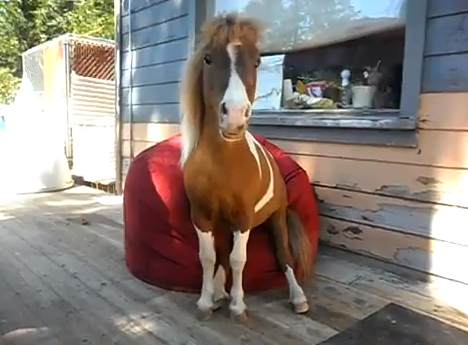 Straight from the horse's mouth... Comfy Sacks are named right as they are really comfy!! 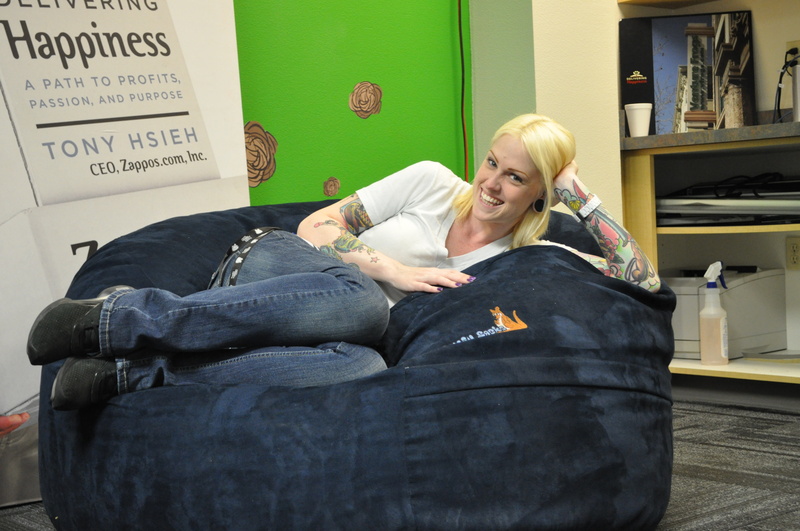 Its gives a nice secure sit without the shifting of pellets from traditional beanbag chairs yet is very soft. It really keeps its shape too and bounces back after use. The only draw back for me are my legs are too short to get a deep seat in the center but then again if I was any taller I wouldn't be a Miniature Horse. Troy and Sandra Dee are always looking for the perfect place to " chill out"and are totally in love with their Comfy Sack ottoman. They highly recommend Comfy Sack as the perfect place for a relaxing nap. We love hanging out on the Comfy Sack in our apartment. Its perfect for an extra bed when we need it. 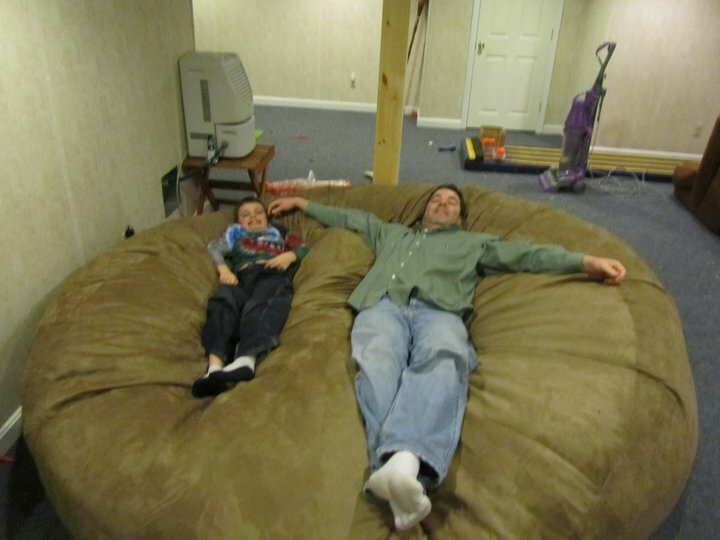 A lot of people we know had a Love Sack but they are now jealous of how much money I saved and more importantly how much more comfortable mine is. Where have you been my whole life Comfy Sack??? 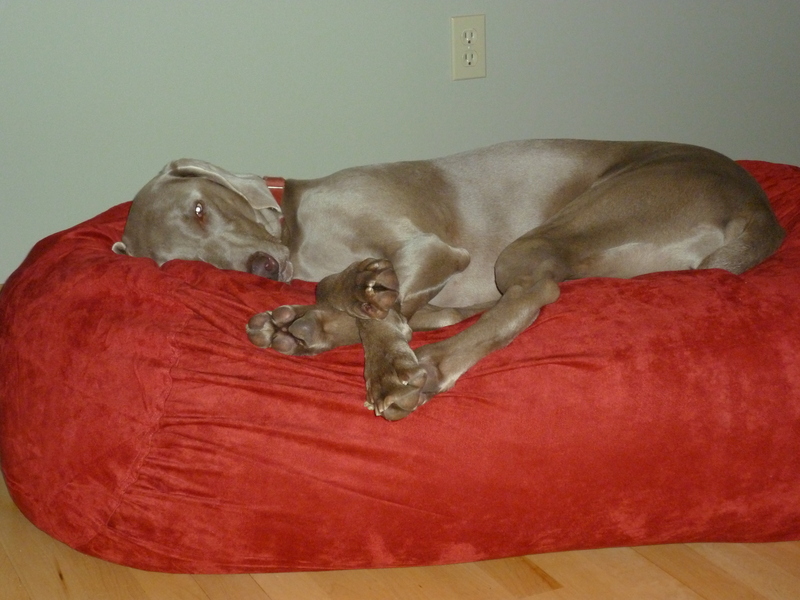 "With the Comfy Sack Lounger and Ottoman, my office is quickly becoming the favorite place to have meetings at High Impact Graphics HighImpact.com"
When I called Comfy Sacks to order a sack for our 2 year old Weimaraner, Mitchell, I never expected the reaction we got from him the day his Comfy Sack arrived. 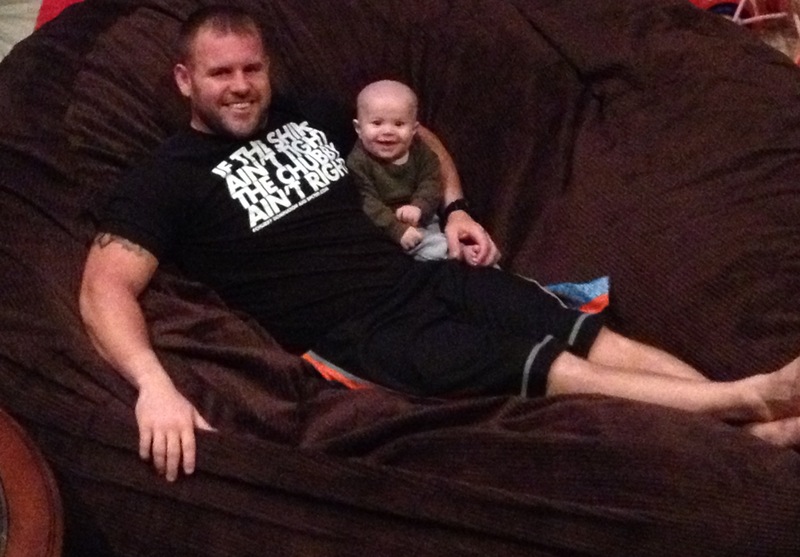 We set it in our living room and Mitchell fell in love immediately! His typical spot at our feet was forgotten and he snuggled up in his new bed. He even hesitated getting up for his favorite time of day... Dinner time! I would recommend any pet owner, that truly wants to see their canine happy, to try a Comfy Sack! I wish I knew about this sooner. Our son Casey loves his new Comfy Sack. It is a great piece of furniture that relaxes our Autistic son. In fact the very first night we had it, he slept on it! Now he sleeps on the Comfy Sack every night. Now that's comfort. Our entire family LOVES our new Comfy Sack! My husband says it feels like you are resting in God's hand. We just got our Comfy Sacks 2 days ago. It is a real hit with the kids. I love the fact that it is big enough for the whole family including Flossie (our dog). 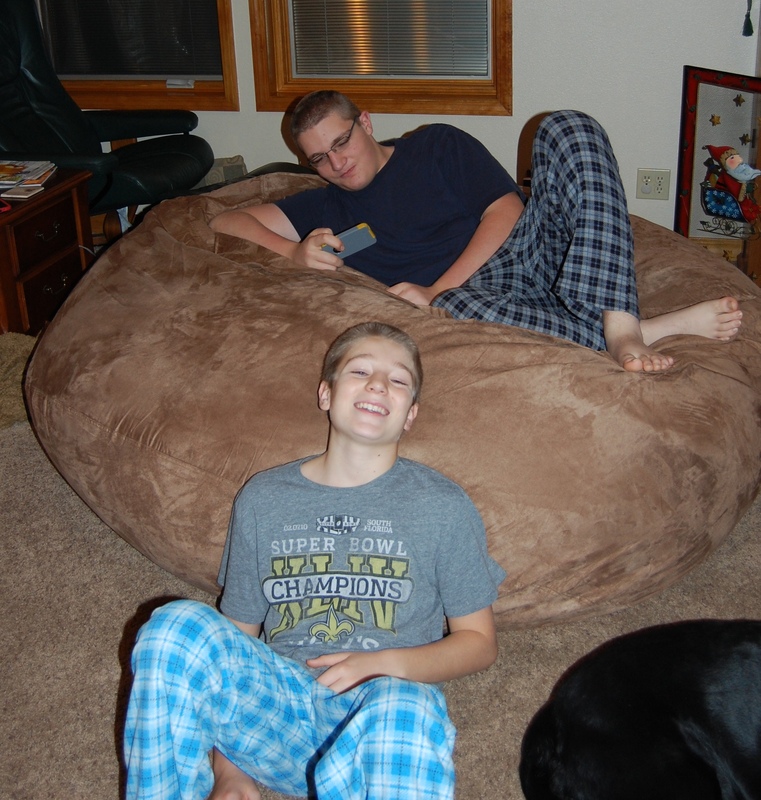 We like our Comfy Sack so much we are considering getting one for each of the kids. Thanks for the Comfy Sacks for our Theater here at IMA. They are usually the first seats taken at each event. After getting a crazy puppy who LOVES to cuddle, I needed some furniture that would allow us to share the same space but be comfortable, durable, and of course reasonably priced. I looked at several company's offerings before settling on the Comfy Sack. 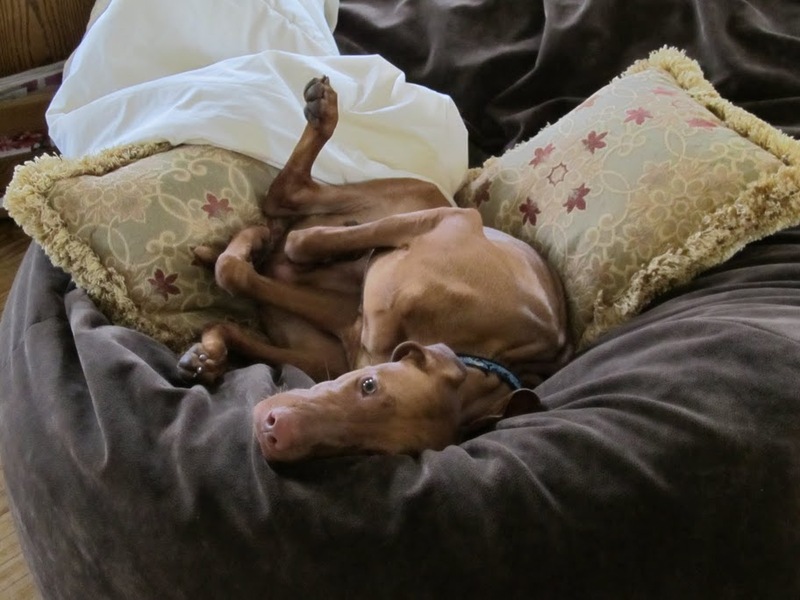 The Comfy Sack is all I wanted and more--it's my favorite place to lounge and great for dogs, cats, and humans alike. After having it about 8 months, it's still as good as new! We have purchased several comfy sacks when we moved to Liberty, MO over a year ago. 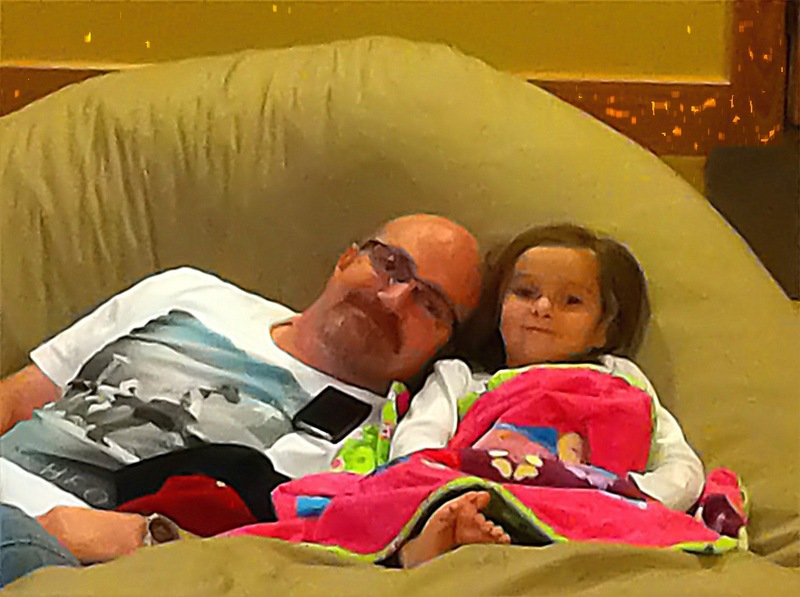 Our favorite is the 7 and 1/2 foot lounger in the entertainment room. It is the number one spot that is contested over whenever we watch a movie, read books, or just relax. Little Lucy, likes to make a bed on it with a blanket and sleep the night. Of course there is plenty of room for me to lay by her to read stories, and just be close. We love it. The Dogs also love it, and it generally is helping three to four individuals get comfortable at once, when you include the dogs. We have 5 kids and 4 dogs. We've had couches break down in our household but our 3.5 ft Comfy has held up and is in the same condition when we bought it over a year ago. FYI - When the kids got off (fell) our Comfy popped back up just like new. Hey there. Any ideas on keeping the cat off my bag? How about other people? Everyone is so in love with it, I hardly get to use it! Thanks for a great product. Also it works awesomely for my disabled son. We previously bought Love Sacs (3 for dog beds and 1 for my son). Our Comfy Sack actually works better and the cat even chooses the Comfy Sack over the other. Kinda funny. Thanks. Words cannot express my heart felt gratitude towards your company for working so hard to fill my order. 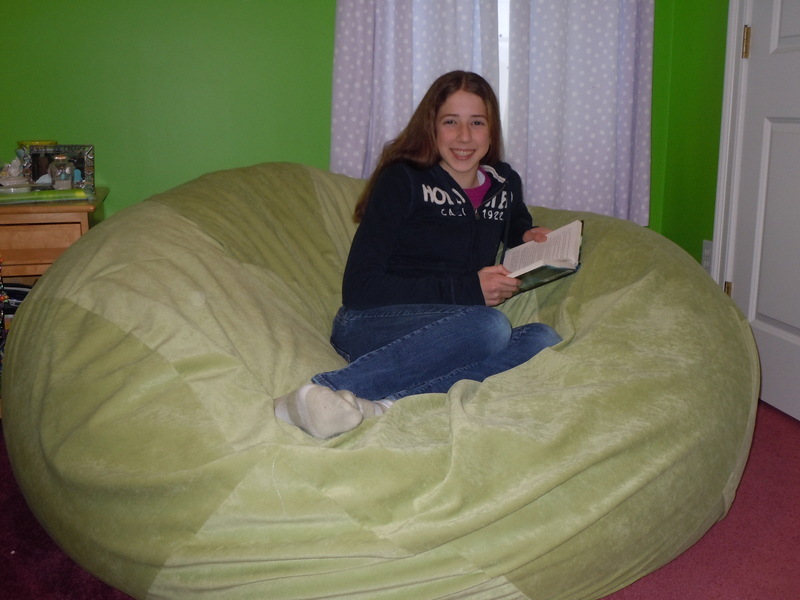 The Comfy Sack did arrive on Dec 24th and was a beautiful surprise for my 14 year old daughter on Christmas morning. My husband and I were very impressed with the customer service we received from your company. The weather was out of your control and you had no obligation to expedite the shipping of the sack, yet you did what ever you could to get the order to us. That kind of customer service is very rare in today's markets. We truly appreciate all that your company did for us, and will be sure to spread the word about what a great company you are to deal with. My daughter loves her Comfy Sack and too is very grateful for all that you did. Thanks again for being such a reliable, customer friendly company. Many wishes for a prosperous new year. I got my daughter the 8 foot one for her bed and it's the best!!! We love it!!! Now my son wants one too! The Comfy Sack just fits. I fit, my kids fit and we all love it. It feels like it is custom made just for me! Thanks for also working with Ruperts Kids and supporting our charity too! 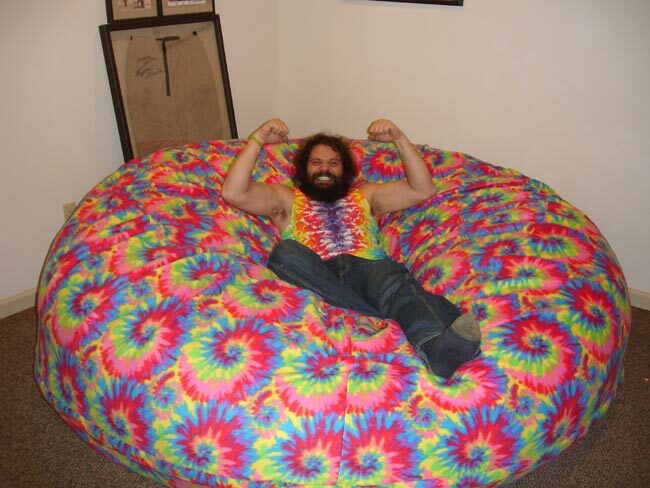 I wish I would have had one of these Comfy Sacks when I was on Survivor!!! 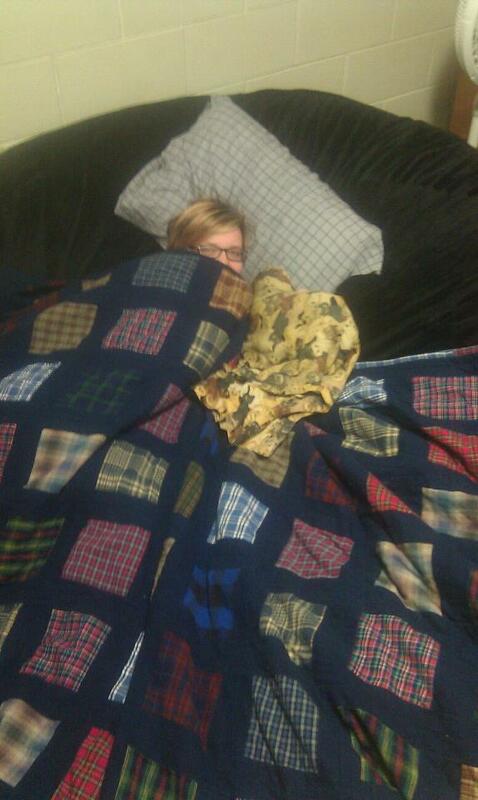 Here's my girlfriend on the 8 foot Sack in my dorm. She fell asleep about 2 minutes later. My ComfySack is now my chair, couch and bed. I ordered one after having a futon for my dorm room. If I were to lay on it, I would feel pain from the frame, and feel very stiff. But with my ComfySack, I not only sleep BETTER than I did on my bed (which had a memory foam mattress topper), I also wake up feeling relaxed and I sleep the entire night. Unfortunately, I am faced with a problem involving people running up and down my dorm's halls at literally every hour, and my ComfySack has helped me sleep better and longer, despite all the commotion. I am amazed it fits in my room, but it thankfully filled the gap where the futon was. I can sleep on my stomach, side or back and still not feel uncomfortable or suffocated. I have the 8 ft sack, and I, being 6' 6", feel encompassed by it (in a good way). I can fit very comfortably by myself, when my girlfriend and I are together, sitting or laying down. I'm actually typing this testimonial while in it. The quality is phenomenal, and it feels perfect. I should have gotten my ComfySack long before I did. It is just that amazing. The Comfy Sacks were a HIT at the Nazarene Youth Conference. We ordered four of the HUGE 8 footers and they were the talk of the conference. 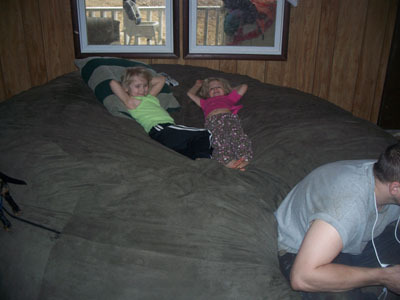 Image if you will 10,000 kids in one place fighting to get a spot on the monster Comfy Sack. We were asked to do something never done before and let me tell you, we delivered!!! Thanks for a sweet product! Comfy Sack...LOVE IT!!! I got it for my dorm room at Florida State and now everyone in my dorm wants one. 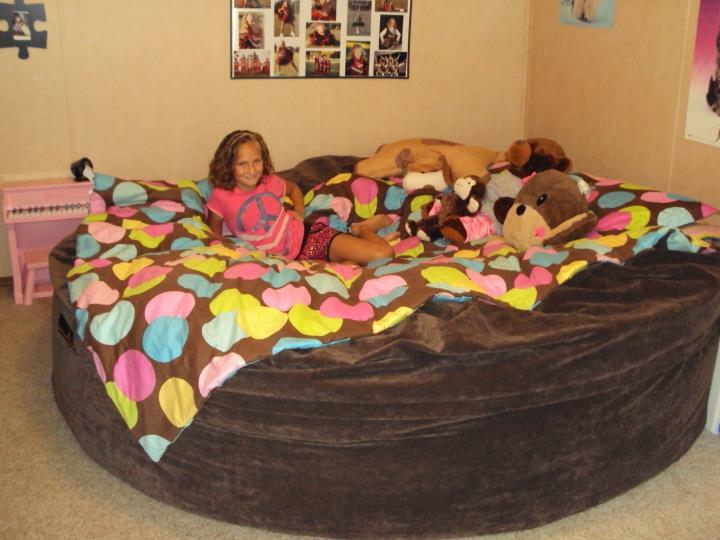 Its the perfect size for my dorm room and even big enough to sleep on for a short nap! 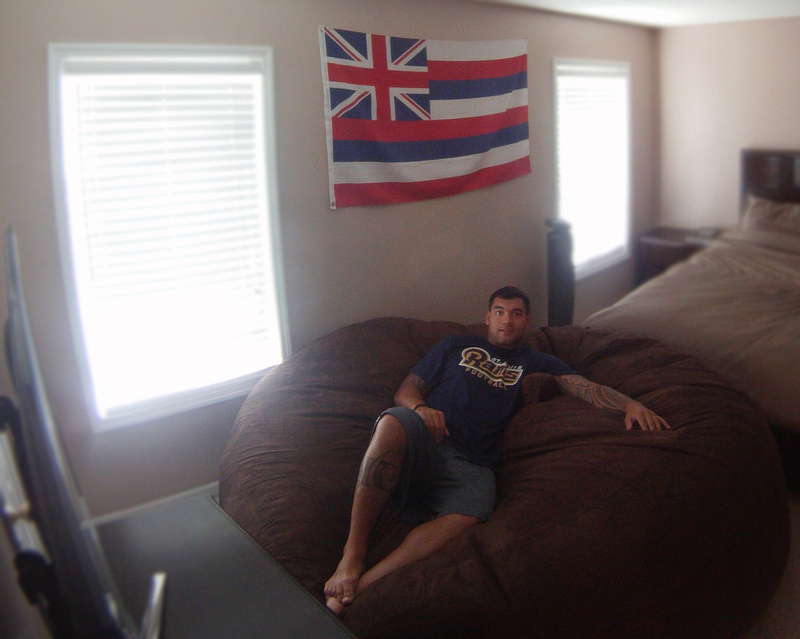 Adios old bean bag chair! 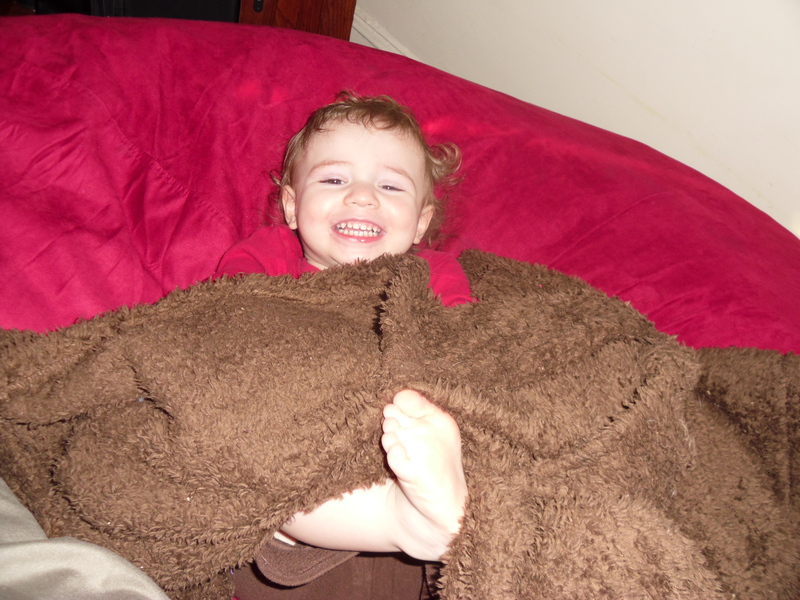 We just assembled our comfy sack and are loving it! This thing is super comfortable. 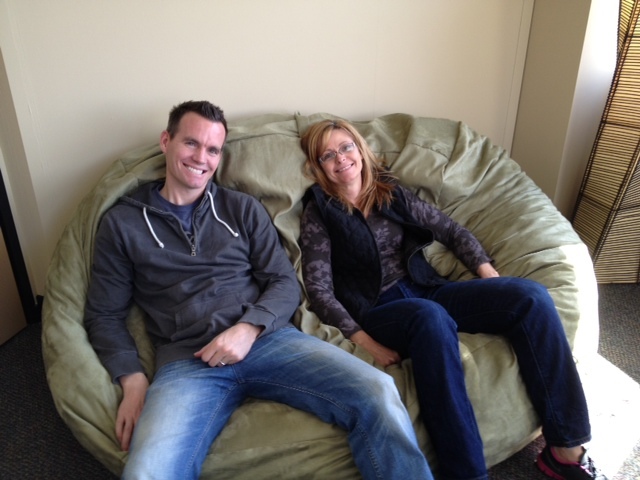 Employees all the time come in to lounge out on the Comfy Sack which is in our 'quiet room' at Grasshopper's headquarters.